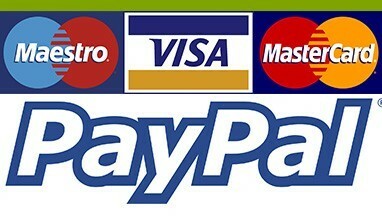 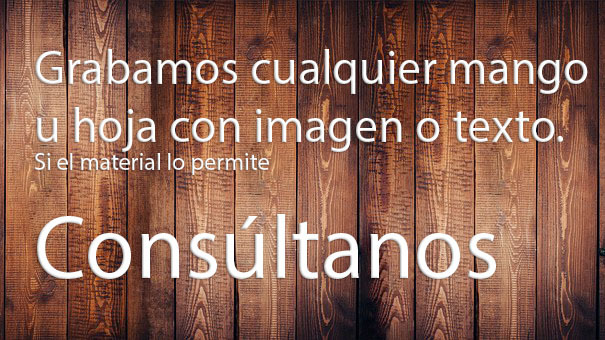 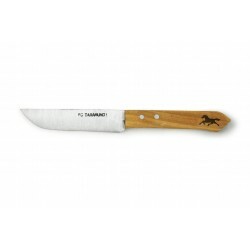 Order your custom knives handmade in Taramundi with the text you choose. 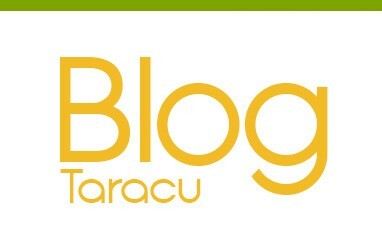 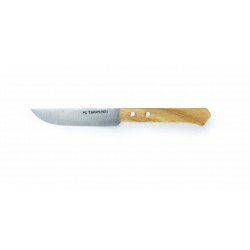 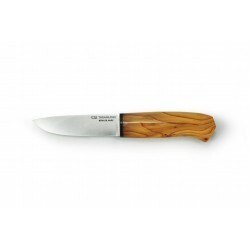 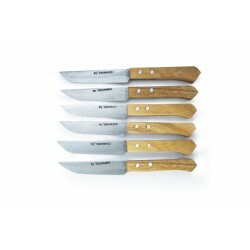 Taramundi handmade knives, made by La Cuchilleria, artisan follow traditional teachings for producing handmade knives, he makes the handle with natural wood and produce the handmade knives. 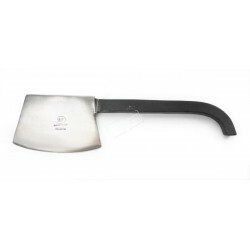 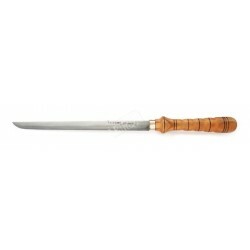 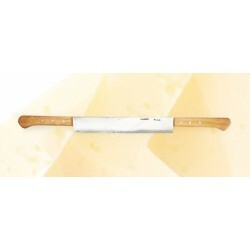 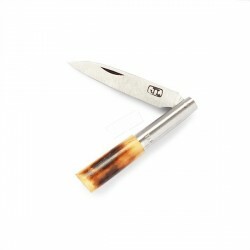 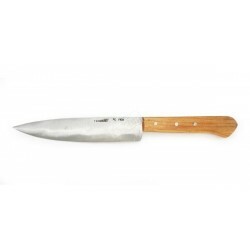 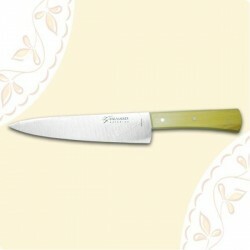 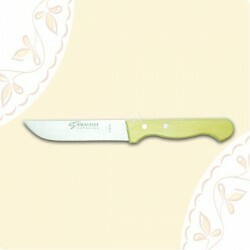 Kitchen handmade knife to chop made in Taramundi by La Cuchilleria with boxwood handle and 20 cm stainless steel blade. 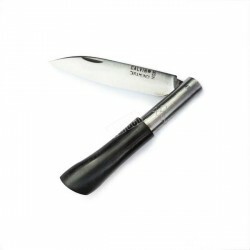 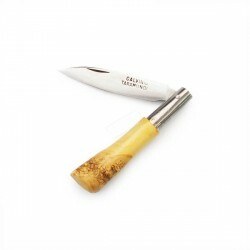 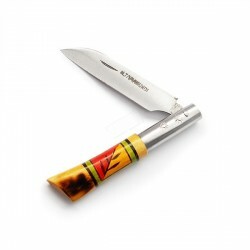 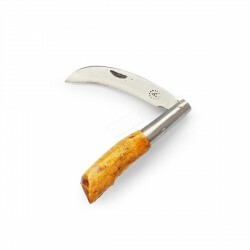 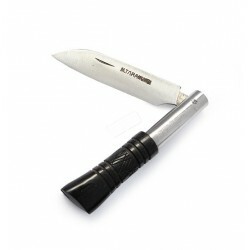 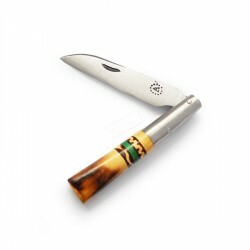 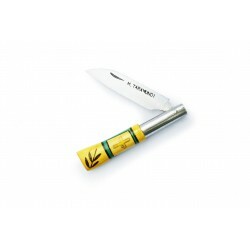 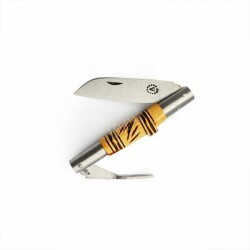 Handmade pocket knife with fork and decorated handle, one of the classic knives made in Taramundi, crafted by Antonio Díaz, wood handle decorated with built fork. 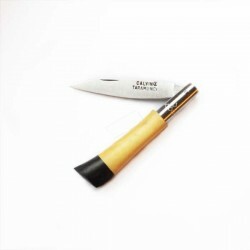 Made with carbon steel forged in the leaf and in the fork, made entirely by hand by one of the master craftsmen Taramundi. 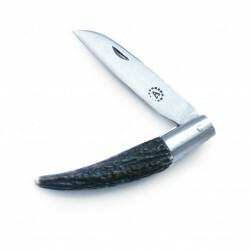 Handmade artisan pocket knife, the handle in staghorn, made by Antonio Díaz Bermúdez from Taramundi. 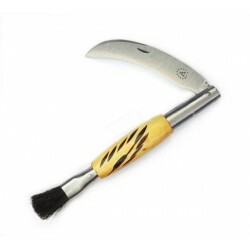 The leaf is forged in carbon by the artisan. 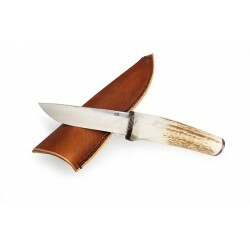 A real piece of craftsmanship with year of history.